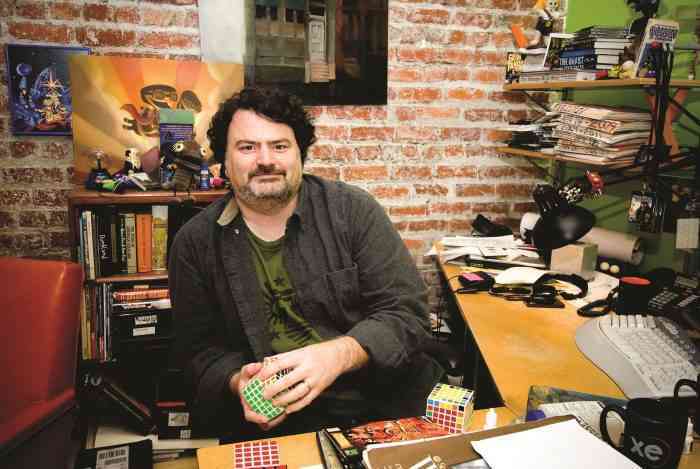 Tim Schafer, one of the creators behind classics such as The Secret of Monkey Island, Day of the Tentacle, Grim Fandango and Psychonauts, will be presented with a BAFTA Fellowship at the BAFTA Game Awards on April 12th. Schafer, who is also the founder of the developer studio Double Fine Productions, said he was “surprised, humbled, and honored” to be receiving the Fellowship. “BAFTA’s long-standing support of video games and championing of creativity and strong storytelling in that medium, have had an extremely positive impact and I’m very grateful to be recognized by them with this Fellowship,” said Schafer. The BAFTA Fellowship is the highest honor that can be bestowed onto someone by the organization and is only given to those who have contributed greatly to the areas of film, games and television. Previous winners of the Fellowship include prominent gaming industry figures such as John Carmack, Gabe Newell, Peter Molyneux, Shigeru Miyamoto and Will Wright. “Tim Schafer is a true pioneer of game design, who has pushed the boundaries of the medium through his extraordinary talents,” said Amanda Berry OBE, the Chief Executive of BAFTA. “With a career spanning three decades, his diverse body of work includes some of the most iconic and best-loved adventure games, all characterized by his powerful storytelling and distinctive comedic writing style,” she continued. “We are honored to be presenting him with the BAFTA Fellowship,” she said. What do you think about Schafer being awarded such an honor? Do you think he deserves it? Do you think he doesn’t? If you think he does deserve it then what were your favorite Schafer games? Head on down to the comments section and let us know what you think about this!